Iranian artist Atena Farghadeni who was serving a 12 years and 9 months prison sentence after being sentenced last June for a satirical cartoon of the Iranian government, was freed on 3rd May. Amnesty International reported that Farghadeni had been released following an appeal in April to reduce her sentence to 18 months, which was successful. In Auguest 2014, Farghadeni was arrested for creating a cartoon which depicted Iranian government officials as monkeys and goats. Farghadeni created the piece in protest against two bills that proposed to outlaw voluntary sterilisation and restrictions on access to contraception. In June 2015, a Tehran court found the artist guilty of ''spreading propaganda against the system,'' ''insulting members of the parliament'' and that she was a threat ''against national security. ''She was acquitted of the latter in a recent trial. Farghadeni has a history of run-ins with the Iranian government. The artist was arrested for dedicating works in her ''Birds of Earth'' exhibition to demonstrators who were killed in 2009 protests against the election of Mahmoud Ahmadinejad. She was held in Evin Prison for nearly two months. After being freed in November 2014, Farghadani was again arrested in January 2015 after she uploaded a video to YouTube in which she stated guards in Evin prison violently attacked her. In a UN report, it was confirmed that Farghadani was made to take virginity and pregnancy tests after allegations were made she was having ''illegitimate sexual relations.'' The accusations were made after Farghadani shook her lawyers hand after her trial. Both were acquitted of the charges. 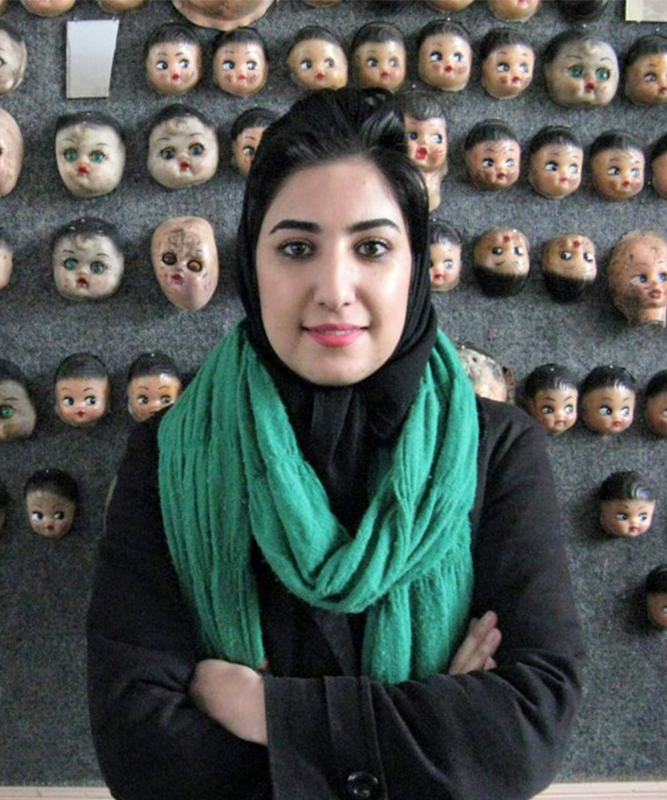 Farghadani plans to stay in Iran and continue her artwork.